Historically, many local REALTORS® consider May an “in-between month” as it sits between when seasonal winter residents leave Naples for their homes up north and summer visitors arrive. (NABOR®), which tracks home listings and sales within Collier County (excluding Marco Island). Many of the homes in the under $300,000 price category have moved into the $300,000-$500,000 price category (bracket creep), a phenomenon that contributes to the increase in inventory levels for single family homes in all price categories above $300,000, all of which increased by double digits. 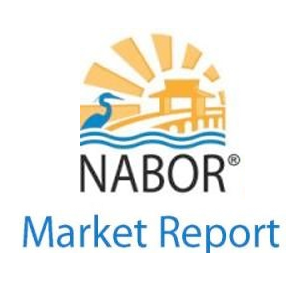 NABOR®’s May 2015 Market Report also indicated closed sales for single family homes in the $300,000 to $500,000 price category, while impressive at an increase of 25 percent from 102 single family homes in May 2014 to 127 single family homes in May 2015, was not actually the highest performing price segment. It was closed sales for single family homes in the $1M to $2M price category that experienced the highest increase – 38 percent – from 32 single family homes in May 2014 to 44 single family homes in May 2015. Interestingly, closed sales in the $300,000 to $500,000 condominium market in May were also impressive with an increase of 38 percent from 79 condominiums in the 12-months ending May 2014 to 109 condominiums in the 12-months ending May 2015. Homes in the $300,000 to $500,000 price category saw positive double-digit action in overall pending and closed sales (and inventory), yet the overall median closed price did not change. Contributing to this category’s median closed pricing stabilization was a 2 percent increase for single-family homes from $380,000 in the 12-months ending May 2014 to $386,000 in the 12-months ending 2015; and a 1 percent decrease in the median closed price for condominiums in the same price category from $370,000 in the 12-months ending May 2014 to $367,000 in the 12-months ending May 2015. According to Jeff Jones, NABOR treasurer and Managing Broker at the Naples-Park Shore office of Coldwell Banker®, the May report also indicated that, “historically, the median closed price for homes above $300,000 in May was the lowest since NABOR®’s been tracking statistics [March 2008].” Effectively, the median closed price for homes above $300,000 was $520,000 in the 12-months ending May 2015 compared to $550,000 in the 12-months ending May 2009. “In all actuality, prices for homes between $300,000 and $1M are remaining relatively static,” said John Steinwand, Broker and Principal at Naples Realty Services, Inc. The May Market Report supported Steinwand’s observation as it indicated that the overall median closed price for homes under $300,000 increased 10 percent from $170,000 in the 12-months ending May 2014 to $187,000 in the 12-months ending May 2015; and the overall median closed price for homes $2 million and above increased 11 percent from 2,900,000 in the 12-months ending May 2014 to 3,212,000 in the 12-months ending May 2015. 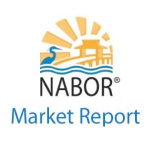 The NABOR® May 2015 Market Report provides comparisons of single-family home and condominium sales (via the Southwest Florida MLS), price ranges, and geographic segmentation and includes an overall market summary. • Overall pending sales decreased 11 percent from 1,096 in May 2014 to 977 in May 2015. • Overall closed sales remained flat for a second month with no increase or decrease reported on a 12-months ending basis. • Overall median closed price increased 15 percent from $252,000 in the 12-months ending May 2014 to $289,000 in the 12-months ending May 2015. • Overall inventory decreased 3 percent from 3,919 homes in May 2014 to 3,800 homes in May 2015. • Inventory for single-family homes in the under $300,000 price category decreased 34 percent from 465 single-family homes in May 2014 to 307 single-family homes in May 2015. • Inventory for condominiums in the $2M and above price category increased 83 percent from 30 condominiums in May 2014 to 55 condominiums in May 2015. • Average days on market decreased 21 percent from 95 days in May 2014 to 75 days in May 2015. As pointed out by Bill Coffey, Broker Manager of Amerivest Realty Naples, there is only a 1.85-month supply of homes under $300,000. “Inventory is not going down as much as it once did,” noted Mike Hughes, NABOR® president, Vice President and General Manager of Downing-Frye Realty. “The inventory of properties below $300,000 has been reduced quite a bit from several years ago. This market is under tremendous pressure from multiple groups including first time home buyers, retirees and boomerang buyers. The dynamics of the Naples market in 2015 are quite different than they were in 2005. We are not seeing the rampant flipping of properties that occurred in 2005. Many of our buyers recently are end users. The financing market today is a lot tougher now than it was in 2005. Roughly 60 to 70 percent of our buyers these days are cash buyers. Also, many of the developers are requiring a larger down payment than they did back in 2005. Boulevard over the next 20+ years. This area is very desirable for the consumer who wants land and wants to stay in a more affordable budget.